Koishikawa Kōrakuen (小石川後楽園) is one of the oldest and best preserved parks in Tokyo and one of the surviving gardens from the Edo period. provides visitors with gorgeous cherry blooming trees. It features beautiful weeping cherry trees around the garden’s entrance gate and several Someiyoshino Sakura near the pond. 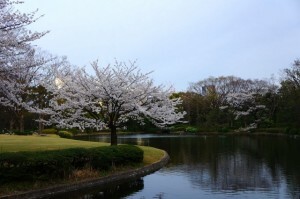 The park is a part of the Imperial Palace Outer Gardens and was formerly the northern fortress of Edo castle. 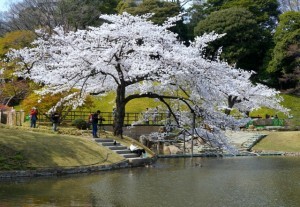 It is located around 1.1 kilometers from the popular cherry blossom spot, Chidorigafuchi Ryokudo. Chidorigafuchi is a moat located northwest of the Imperial Palace. 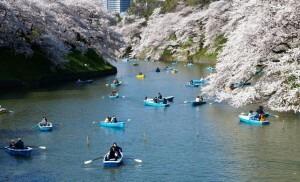 It has over two hundred cherry trees which are planted along the 700 meter pedestrian path.